Attorney Advertising. National class action firm Keller Rohrback L.L.P. is investigating claims against Southern California Gas Co. on behalf of residents of Porter Ranch, who have been living with the consequences of a massive natural gas leak since late October. Residents have complained about becoming sickened by the fumes from the leaked natural gas and odorants, which reportedly can cause headaches, nosebleeds, and other health problems. And a potential fix for the leaking injection well is still likely months away. 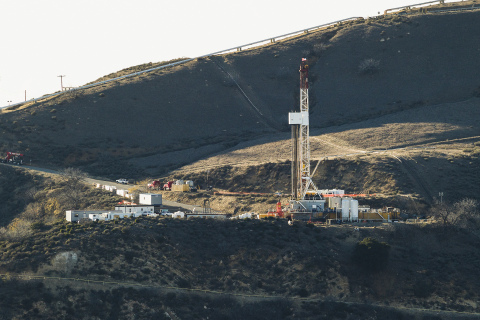 According to the South Coast Air Quality Management District, Southern California gas Company’s Aliso Canyon Storage Facility has the capacity to store over 80 billion cubic feet of natural gas, and SoCal Gas operates about 115 injection/withdrawal wells at the site. One of those wells, Well SS-25, is the source of the leak. Attorneys in Keller Rohrback’s Complex Litigation Group have successfully represented individuals and class members in environmental litigation issues relating to toxic exposures and environmental damage. For example, Keller Rohrback represented fishermen, landowners, and businesses located in Prince William Sound in their action against Exxon to recover damages caused by the Exxon Valdez Oil Spill. A federal jury awarded a $5 billion judgment in favor of Keller Rohrback clients. Additional claims against the pipeline owner were settled for $98 million. Keller Rohrback has also handled environmental litigation involving home heating oil, contaminated drinking water, contaminated sediments, landfill leachate, metal smelting and finishing wastes, tank farms, chemical plants, gas stations, and major manufacturing concerns. With offices in Santa Barbara, Oakland, Seattle, Phoenix, New York, and Ronan, Keller Rohrback currently represents individual and businesses affected by the May 19 oil spill in Santa Barbara County. If you believe that you have been affected by the SoCal Gas leak, please contact attorneys Matthew Preusch or Daniel Mensher at (800) 776-6044 or via email at [email protected].